Today we’d like to introduce you to Barry Brown. 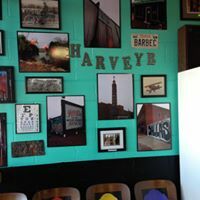 Harvey B’s founder has operated restaurants since 1978. The Barry Brown/ Larry McGrane team formed about 1988, with Harvey B’s being the fourth restaurant joint involvement. 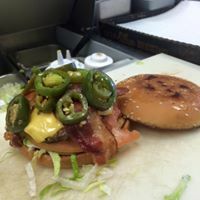 Harvey B’s was a project born of the notion simply to try new ideas- “I’d like to try this, this and this. Do you think it will work?”. What we sold, how we sold it, where we are located, size of the restaurant was chosen largely because they were what we liked. They wanted to maximize a small, efficient space- essentially a more-with-less approach. From the beginning, Harvey B’s worked well. They had a helpful (patient) landowner good neighbors, good contractors, good employees and customers came in steadily from day one. It has been a rewarding experience. Restaurant projects are always challenging. There are too many variables in the creation and operation phases for them not to be challenging. That being said, Harvey B’s was a smooth project. We were there only because we wanted to be. Doing something out of desire as opposed to necessity changes the entire complexion of the project. Ask Larry about this- he is at the store daily working his tail off but is quite proud of what he has created. Alright – so let’s talk business. 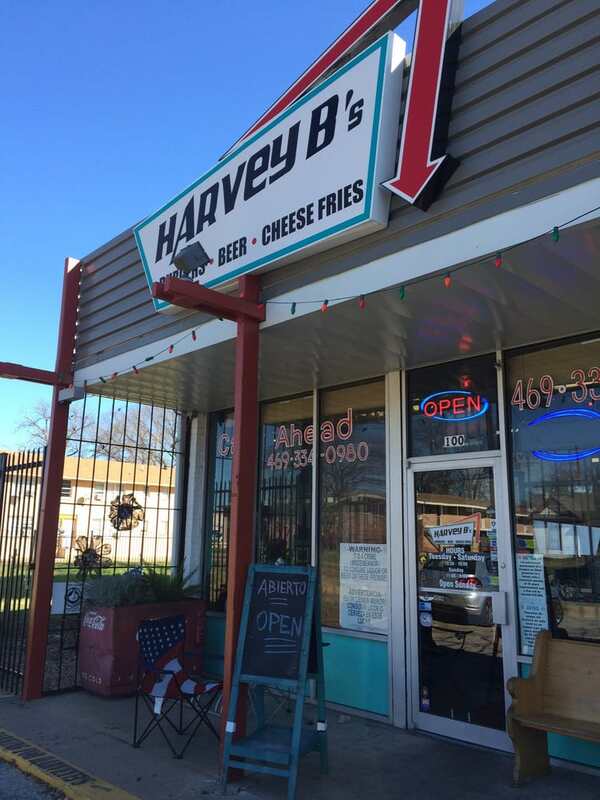 Tell us about Harvey B’s – what should we know? 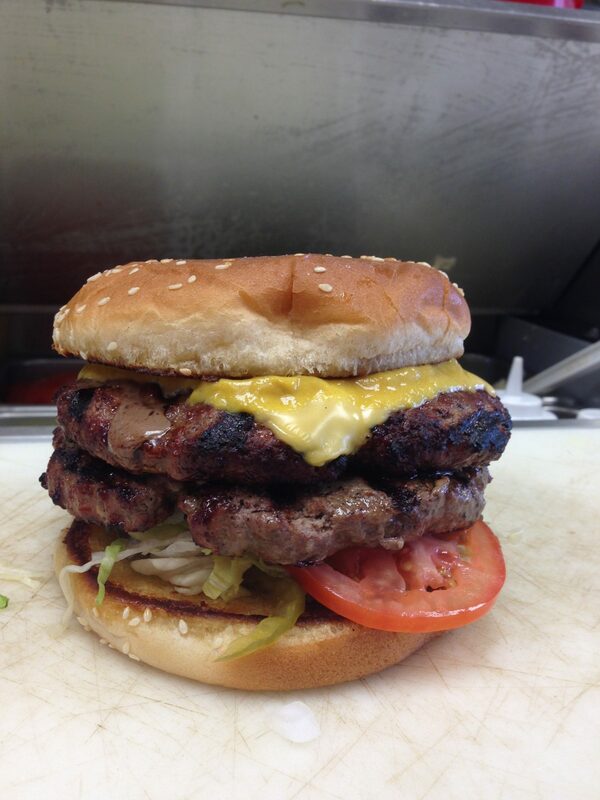 Harvey B’s cooks charco-broiled hamburgers, mostly half pounders. 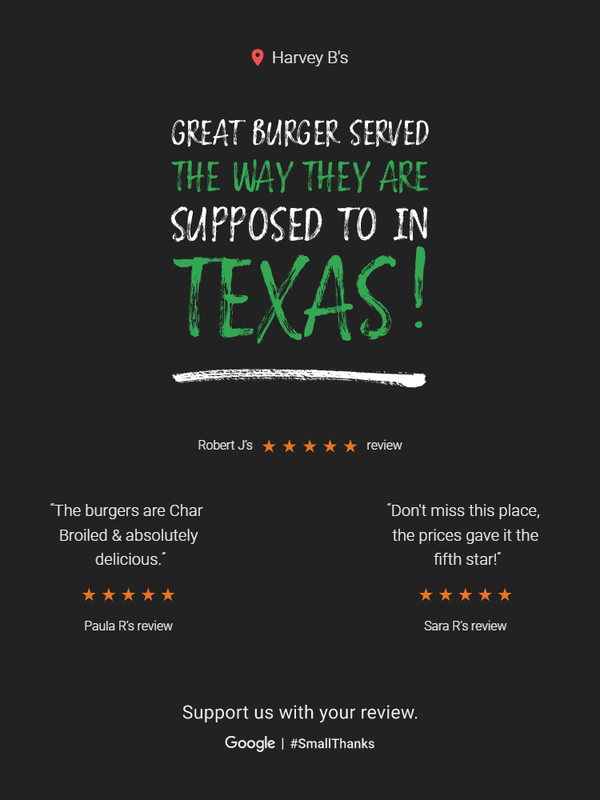 Daily, we receive “wows” from our burgers, both in-person and on-line. Aside from the burgers, we are known for our hand breaded onion rings. We sell a regular cut frozen fry, a fresh cut spiral fry and tots. Our chicken breast is seasoned and marinated in buttermilk- it is moist and tender. And we have killer shakes. 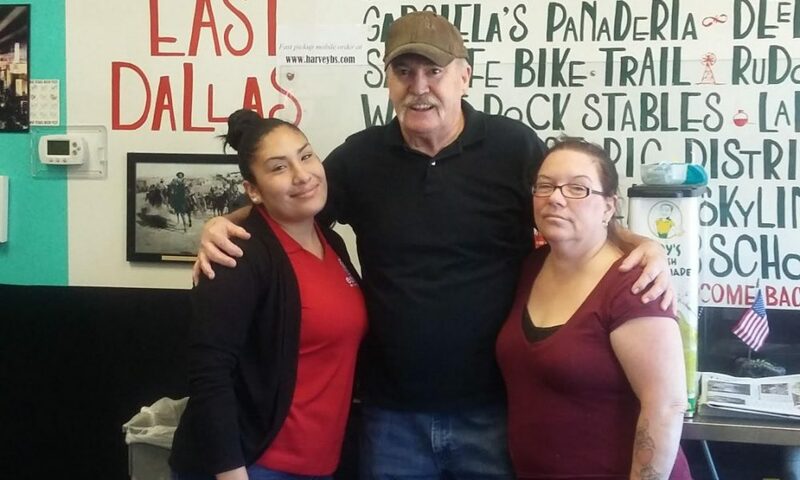 Notably, we have employees that have taken a “stake” in the business- Larry, Erica, Joseph and Susie, and we have enthusiastic customers who keep buying our food. Harvey B’s does not have just a “white” clientele, or just a “Hispanic” clientele, or just an “African-American” clientele, or just an “Asian” clientele. Everyone walks in our door, and we are proud of it. We are proud of it not only because we have we satisfied a lot of different palates, but because we have also succeeded in making our place comfortable for our neighbors. This is important to us. If you come in our place, eat our food and feel like you have NOT been in a restaurant, that is a good thing. We take pride in “watching the details” and working hard to satisfy our customers. and we hope we have managed to instill that pride in the new caretakers of Harvey B’s. 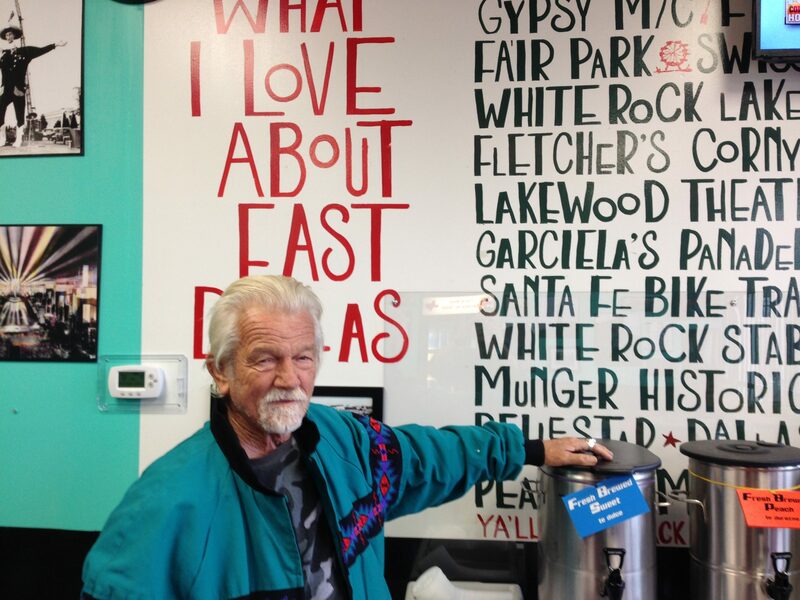 Hands down, Larry McGrane is the one person that has made Harvey B’s happen. This project would not have been undertaken without him. He genuinely cares about his customers and his employees. And he has done this with me since 1988. He is a good man who also knows his way supremely well around a restaurant. Harvey B’s was created only because we wanted to do it. So, my wife Becky, who has not been involved in restaurants since the early ’80’s and thought I was crazy for choosing this location (the location was a departure from past, more mainstream projects) was involved in certain aspects which made it a more enjoyable and successful project. She often seems to have a perspective that I lack and I appreciated her input. 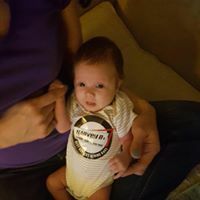 Maybe the best part of the project was my daughter’s involvement. Rebecca handled the social media. She communicated with customers daily and designed/consulted social media, marketing and advertising and menu. It was invaluable, necessary work and she did it well, all while also running her own business. I loved working with her. Cheryl Grayson was probably responsible for keeping Harvey B’s alive for the first ninety days. She posted and updated/re-posted on several strategic neighborhood web sites in such an effective way that not a day went by that customers were constantly (lots of them) saying “I am a friend of Cheryl’s” or “Cheryl told me to come in”. This happened literally hourly in the beginning and it was music to the ears of a nervous owner. Cheryl has been a constant supporter of the restaurant. She is a wise soul. Bryan Rogers was the designer/project manager/general contractor. He has restaurant know-how and endless patience for Larry’s constant ribbing. Lastly, Mike Hopkins, of Hopkins Commercial, was a pleasure to work with. He and I had similar goals and from inception to sale he was a gracious supporter. These are the people that helped make Harvey B’s a success and I am gratified that they chose to be involved. Love Harvey b’s. 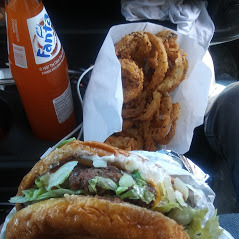 Don’t know which I like best the burger or fried onion rings. My mouth waters at the thought.